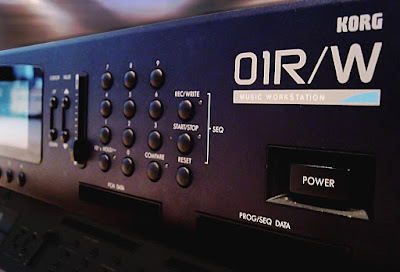 The 01/W (alias Oiwa) is a very special synth for me as I started music making with it. Although I had done some musical experiments and a few compositions before it, the 01/W really revolutionized the way of composing. The sounds were awesome and ultimately realistic (so I thought...) and using the sequencer was very effective and straightforward. You could do entire pieces with a single unit with good quality, how cool is that. More about my early music in the project Archives. 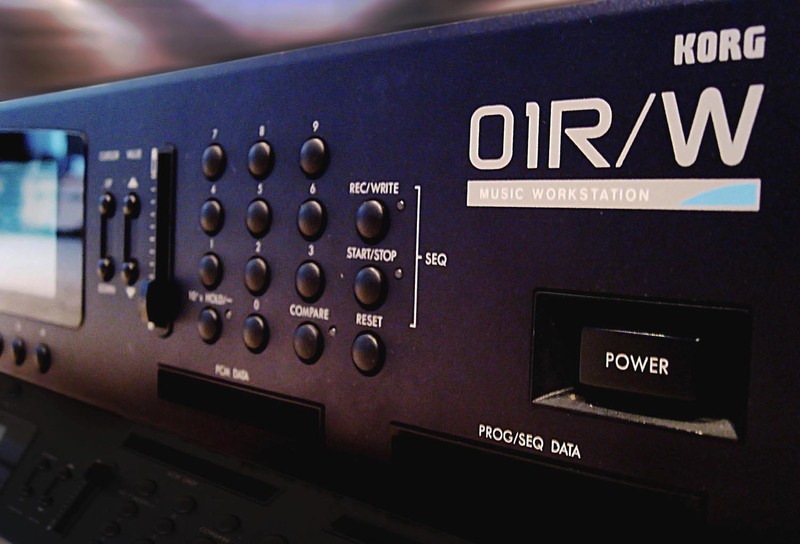 The 01/W is a workstation synth, basically meaning there’s a sequencer and effects in addition to the synthesis. It’s a consept that Korg had a big success with the M1 a few years earlier. So the 01/W is actually a beefed up M1 (and T1 which followed the M1). The legend tells that the name is actually "M10" turned upside down. Even some of the 01/W’s ROM-samples are from M1 and especially from T1′s sample disks. Synthwise the 01/W isn’t that much in today’s standards. 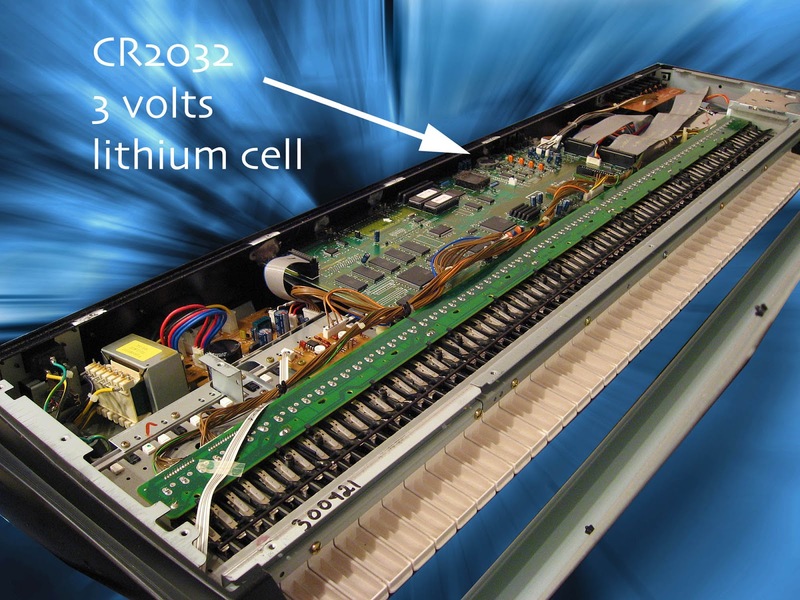 It’s a PCM synth, meaning it plays sampled waveforms. These samples are then "processed" through the familiar subtractive-type synthesis. It’s a pity that Korg didn’t feel the filter should have a resonance feature, so the 01/W has only non-resonating lowpass filters. 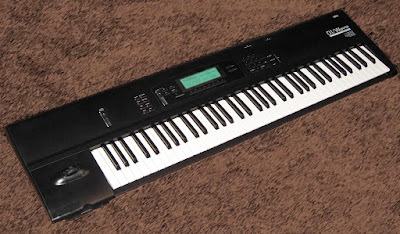 The DSS-1 synth from 1986 was the last Korg synth to have resonating filters (it had excellent analogue filters), and even the rack version DSM-1 had the resonance removed – a huge mistake. 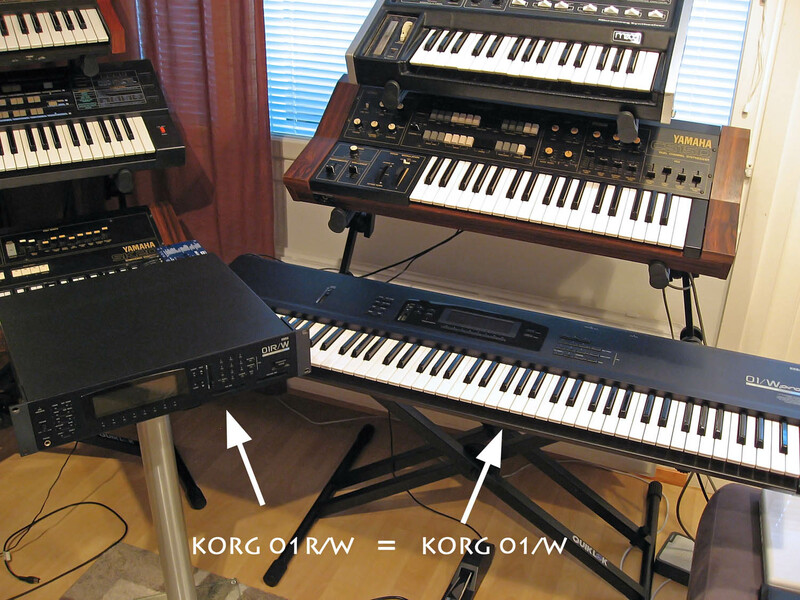 The filter resonance came back to Korg synths in 1995 with Trinity’s multimode filters. 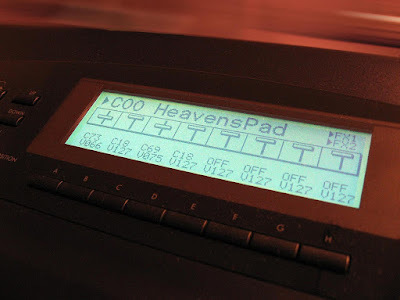 The waveshaping feature of the 01/W is unique and not seen in other workstations. It can sound nasty and introduce some distortion to the sounds if not used carefully. But you can get some interesting filter-sweep-kind of sounds with that too. 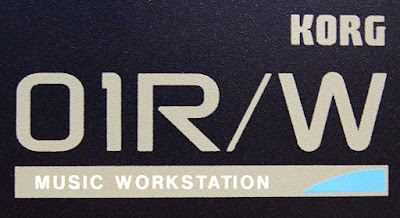 The 01/W has 32kHz sample rate and perhaps that’s why it sounds so "warm" and pleasing. I remember the huge difference in sound clarity when I got the Trinity that has sample rate of 48kHz. Both are very good in a different way. 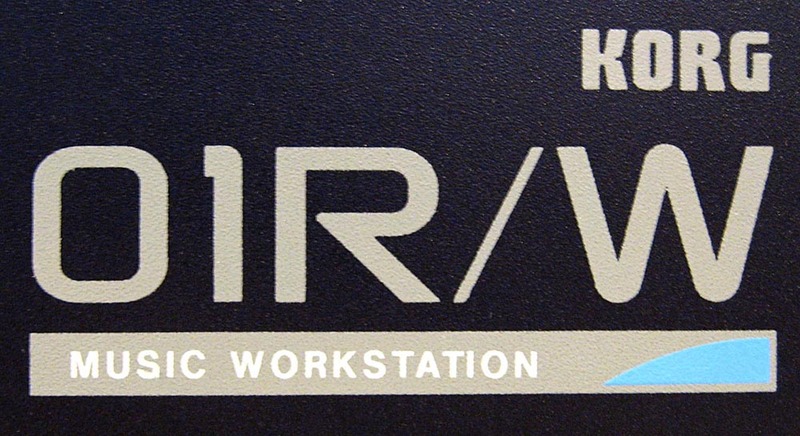 The 01/W can also be expanded with additional PCM samples via cards. 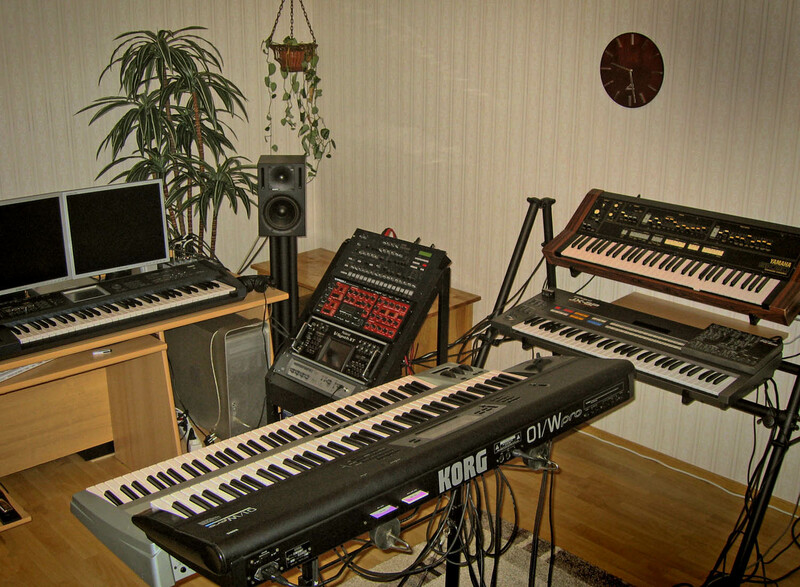 Korg produced six cards for it. Each one is a set of two cards, one containing the PCM-samples and the other has the program/combination data (and demo sequence). 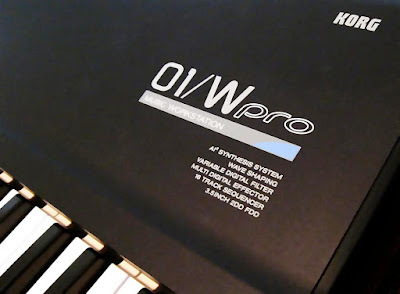 The 01/W is a pretty good synth for pads and ambient stuff but it really isn’t a "techno synth" if that’s what you want. Sound editing is easy with the big screen and in my opinion it’s a good looking synth. 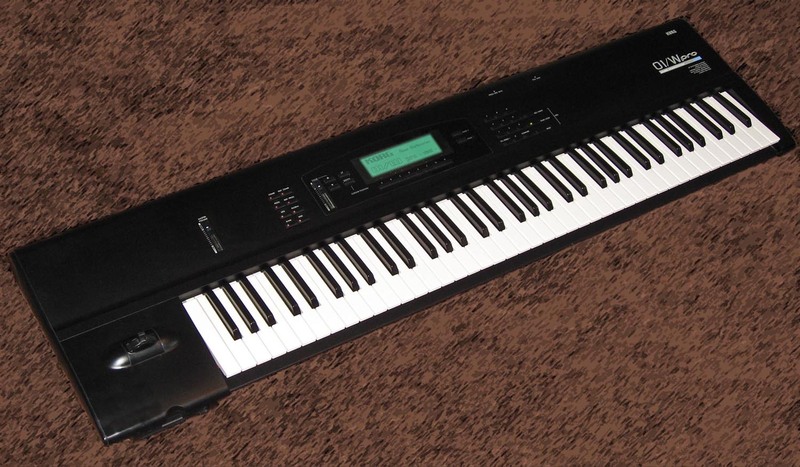 • 01/W pro X – 88 weighted keys, more samples, freaking BIG size! The added samples in the pro-models were the acoustic piano multisample from the Piano/Keyboard card and some drum samples. 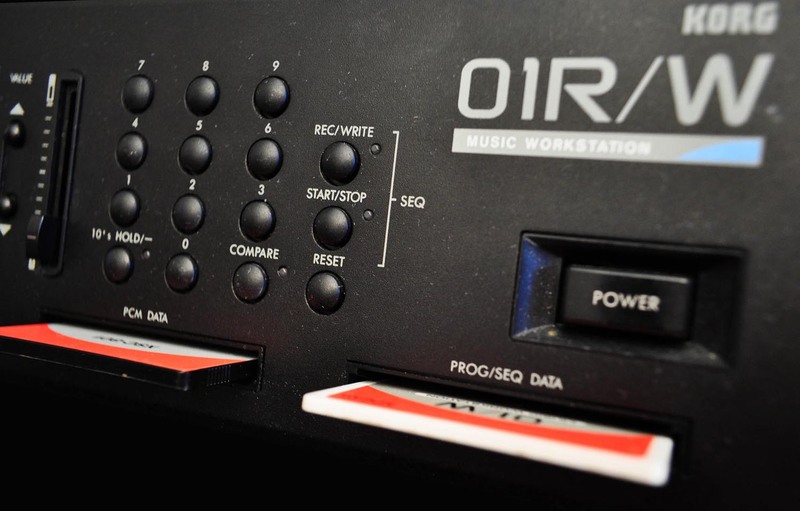 The 01R/W is a 2 unit rack version of the 01/W workstation synth. As I really don't need the workstation capabilities of this synth, I got rid of the keyboard versions and this sits now in my rack. It has the same usability as the keyboard versions as the screen is the same. The buttons are of different shape, but that's it, otherwise it's the same. The rack version is 2 units high but very deep and heavy. You can use your sound expansion cards with the rack. I mean, do You have that or keyboard for sale?